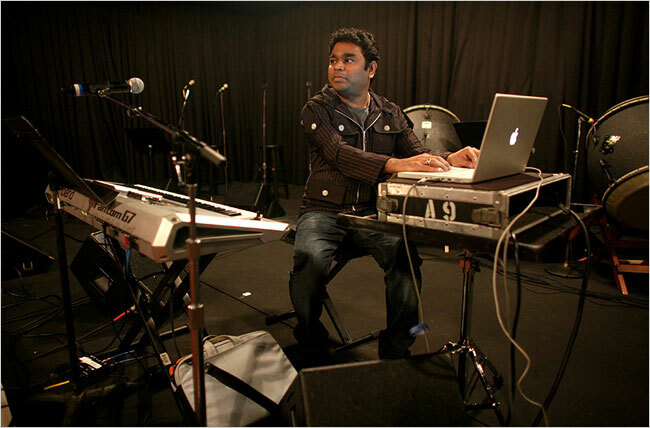 AR Rahman has been my top-most inspiration in life immediately after the night I heard the tamil Roja songs long before it was released. I listened to it the whole night at my friend's house. As I was awed by his next "Thiruda Thiruda" I couldn't help but stay glued to him and admire his life. There are lot I learnt from him, not just in music, but from his principles and attitudes in life. I realized the secret about his success in life - HE IS ALWAYS CONNECTED TO THE SOURCE! Here are some more inspirations I collected and learnt about him. "Religion sounds vulgar these days, I am more of a spiritual person. And I believe in being consistent with my spirituality. As one grows in life, one realizes the magnitude of spirituality. It is the most beautiful passion. It raises you above all the negativities. For me and my music, spirituality is the most important element and I don't think I can create the kind of music I do, if I don't practice spirituality." A. R. Rahman Grammy Rahman has no nick names. All the family members including sisters and his mom call him “Rahman” with full fleged love and affection. Due to the family situation Rahman discontinued his studies in Padma Sheshadree Higher Secondary School during his 9th. Rahman doesnt celebrate his birthday in a grandeur way. Early morning prayers, orphanage visits are the activities he do on that day peacefully. He offers namaaz five times a day. Rahman eats just for his hunger. Takes on any food he gets in his house. His stomach gets filled for even “Rasam Sadaam”. Rahman has 0% affinity towards gold jewellery. Slim Platinum ring is what he wears at times. He doesnt wear a watch in his hand. When theres a holiday for his children Rahman goes abroad. But with full musical works with him. Rahman gives respect to even sweeper of his studio and that is why he is loved by all so much. ARR loves his mother very much. even now, his financial matters are seen by her. He does not maintain a wallet. but he never goes out without his keyboard! With all the above in place, being humble, simple and honest is all that one needs to be to ensure a great life. With so much of stardom and attention after the Golden Globe and OSCARS, Rahman could have got carried away with the success, however he always chose work over publicity. Rahman goes to Hyderabad and Nagoor Dargas with his family atleast once in 6 months. Rahman shows exceptional love towards his sisters Raihanna, Fatima and Israt. He has lot of interests towards social service. He loves doing that without any kind of fame. Rahman loves “Games”next to music. His gaming companions are Kathija, Rahima and Ameen. (children). Every time rahman comes out of his house he prays to his father “Shekar” and then leaves. This is a sign of respect he shows to his father and mother. He treats them as GOD. Maniratnam is the only guy who can meet Rahman at any time of his choice. Rahman shows more affection to Mani who introduced him to film music than anyone. Rahman doesnt have a big friends circle. He was very sad when his close friend and singer Shahul Hameed passed away. Rahman likes all the kinds of music. He thinks that the music loved by a person too is good music. He congratulates the Music Directors for their song which he liked the most when he gets a chance of seeing them whole heartedly. Rahman doesnt go to any kind of recreation places like theatres and parties. When he gets free time he just spends it with his family. It would have been so easy for a musician like Rahman to go and settle in Mumbai and work for acclaimed filmmakers post " Roja and Bombay ". But the man preferred not leaving his home, his roots to a place where instant fame, recognition and money was assured. Of the many ignored facts, Rahman's major success lies in working from his home. Home is where your heart, mind, body and soul is. 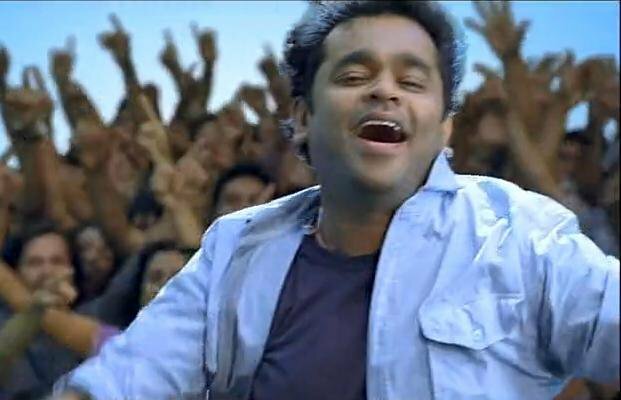 There was a time when Rahman was being humiliated by some critics, directors and producers over the kind of music he had scored, and all this when he was at the peak of his career. He could do nothing about it, and preferred to remain calm and unmoved. And when ever his work was released, it got an outstanding response and was embraced by the masses. This overwhelming response and success was a slap on the face of those critics, producers and directors. Not many may have noticed that Rahman has introduced maybe a hundred new young singers to the Tamil and Hindi screens – his faith in the youth of India is evident in his statement that he would like youngsters to take a different view of music after his winning the OSCARS. Rahman has done what no other music director has done for the cause of music-starting a music school, the KM MUSIC CONSERVATORY. His objective for starting this school is to make Indian musicians have a global orchestra of their own. This is such an innovative idea and Rahman is spending a lot of time, money and energy towards realizing this noble musical mission! Rahman is the UN ambassador for the campaign fighting against poverty and he has associated himself with many social causes. On the night he returned to India after receiving the OSCARS, he requested that his fans ought not to disturb his neighbors in the dead of night clearly points to a long forgotten quality in India—consideration for others. Nothing’s changed about the man. If anything, A. R. Rahman is still the shy and humble person he was before Slumdog Millionaire happened. The only difference is that with two Oscars and a BAFTA and Golden Globe each, the security cover around him has thickened. "Humble origins need not prevent us from aspiring for and achieving great success ". "Criticism is fine – at the end of the day, my music speaks for itself." "I try to do my best but, finally, everything lies in God’s hands." "Rather than making money I believe in making people happy. All other things are secondary. Money isn’t important, creative satisfaction is. "Be a good son to your parents; Be a good husband to your wife and be a good father/mother to your children, and that would make you a good friend to me." Sir,.. Ur my amazing...A great creation from GOD.